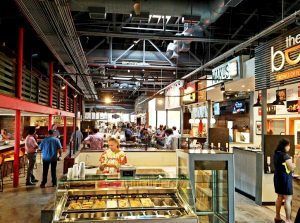 Grub Durham: A Modern and Delicious Take on the Classic Diner! First Take: Grub a Modern Diner for Durham! When I think of the restaurant scene in Durham, several words usually come to mind: hipster, upscale and pricey! I usually find that eats in Durham are just a bit more expensive across the board compared to what I usually find in Raleigh. And with all the national press and accolades, I guess you price what the market will bear. 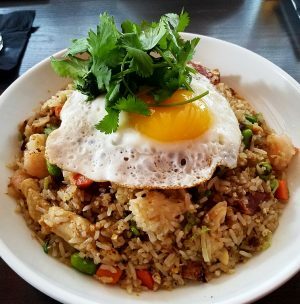 But it’s always good to see more budget-friendly options on the Bull City food scene and it looks like the new Grub Durham might be the relief that your wallet needs! 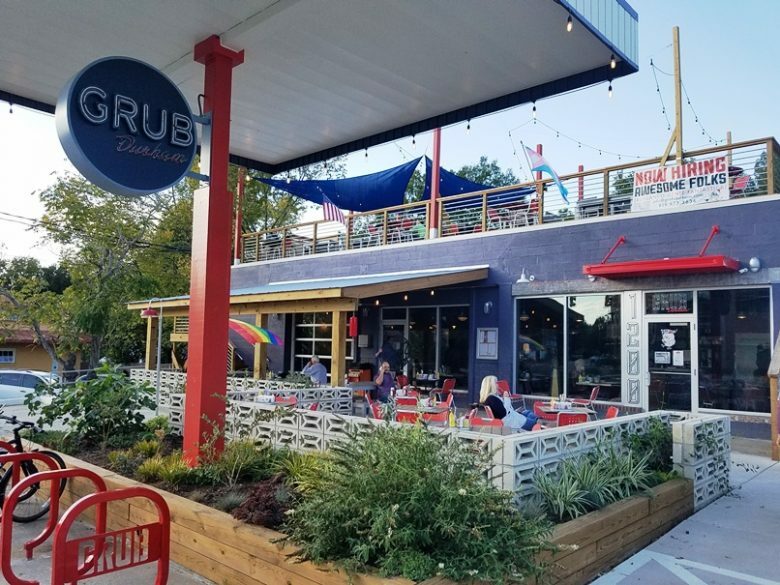 Built out in a converted gas station, Grub Durham is beautifully designed and shows off a lot of quirk and color for the locals. Classic round neon sign up front along with some red bicycle racks, Grub has a LOT of outdoor seating. One patio up front along with a huge patio on the roof with its own bar, wow! 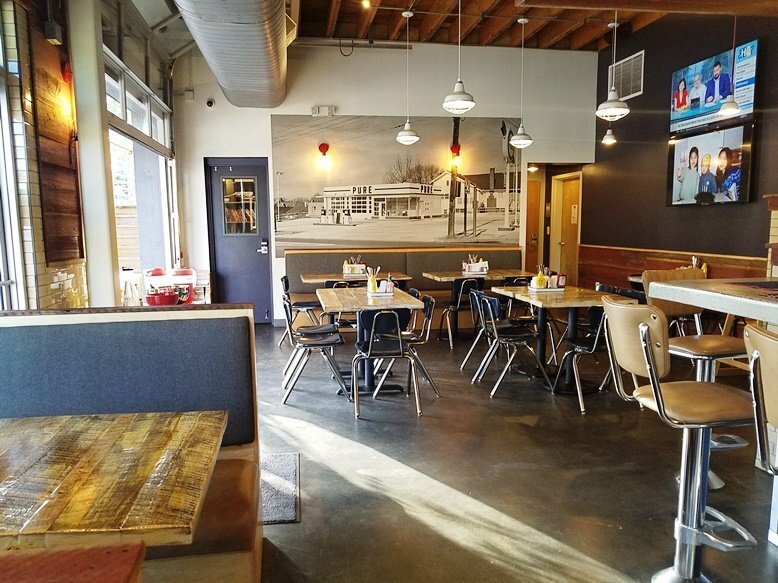 Inside of Grub Durham, you get more of a diner feel with booths along the front, 4-tops to the side and a long counter with swivel stool seating in back. It all feels a bit modern and classic at the same time, in homage to its old-school gas station origins! Grub has a small parking lot to the right but otherwise very limited street parking given its busy intersection. You may need to walk it over for your meal. The menu at Grub Durham is simple but interesting diner fare. 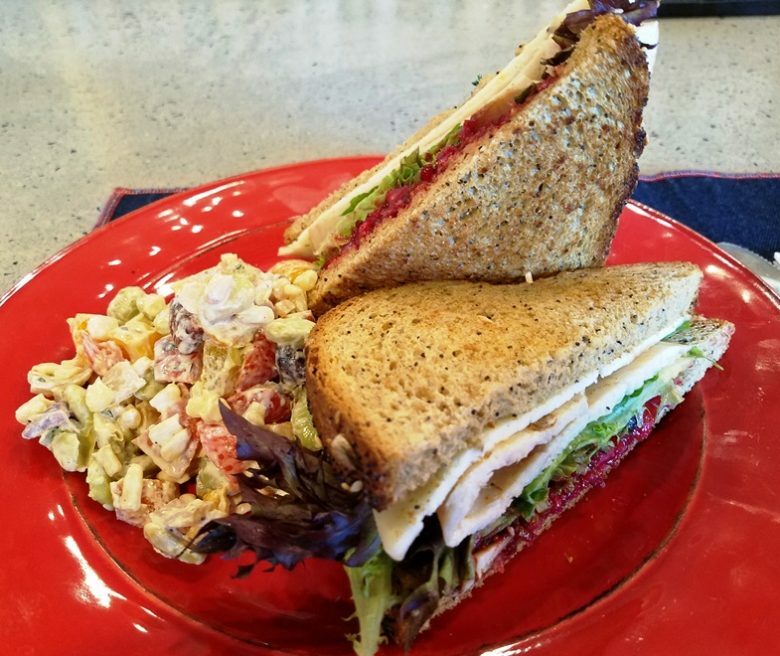 Along with some basic breakfast offerings (egg plates, sandwiches, and pastries), you can choose from deli sandwiches and burgers for lunch all priced between $5 and $10. And then some additional entrees and meats (Blue Plates) are available for dinner at Grub. 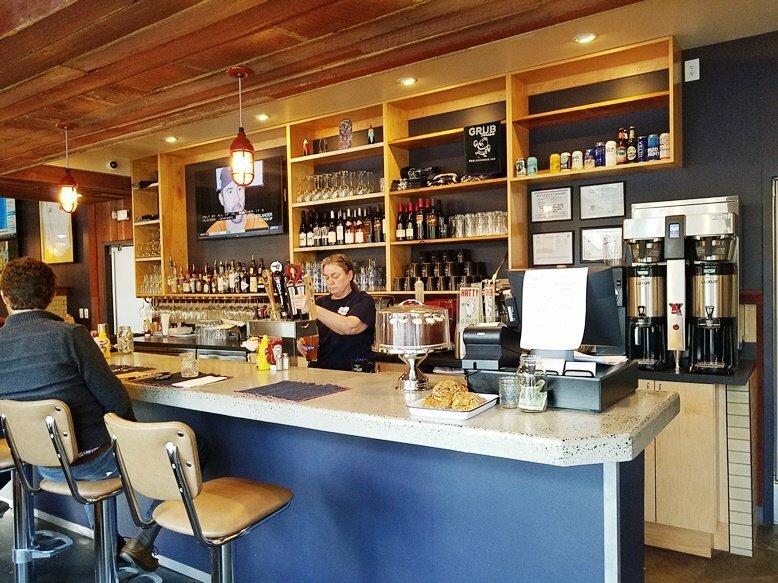 The staff is dressed casually in navy t-shirts and give Grub a lot of its diner personality with their attentiveness. You may be called “honey” or “sweetheart” which is always a good thing in my book! For my lunch visit, I grab a Gobbler sandwich and it looks really nice! A skewer is run through the sandwich propping up one half up in the air, a nice presentation for a simple item. And the sandwich is put together nicely and neatly, showing off thick sliced turkey, bright red cranberry dressing, lettuce and some Havarti cheese inside. Taking a bite you get a great blend of flavors across the high-quality toasted bread, savory turkey and cheese, I love the orange flavor accenting the cranberry sauce, yum! And the side of butter beans and corn is an interesting mix of veggies with a nice light mayo dressing. Overall some great eats for a healthier lunch. A return visit for dinner opens up some Blue Plate options at Grub (after 5pm). Favorites like fried chicken, ribs and a mac bowl. I opt for the meat, ordering up some smoked wings ($8.99) and ribs ($12.99). 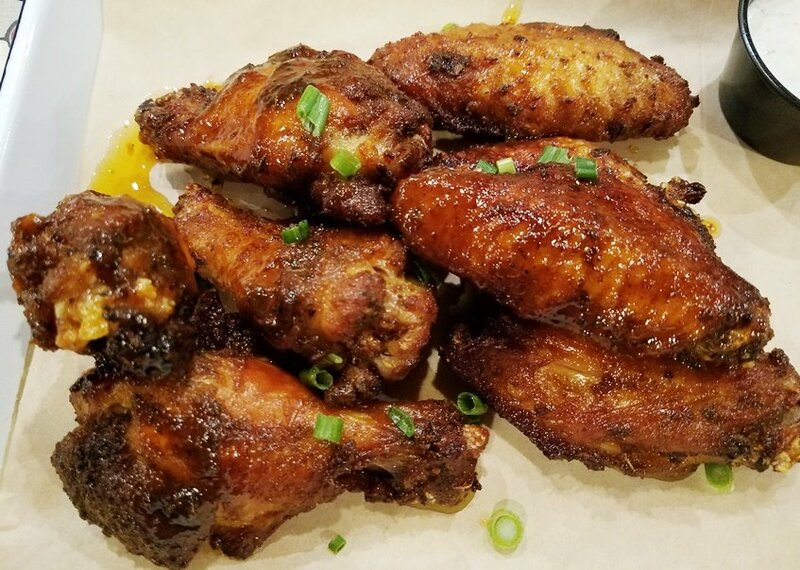 The smoked wings at Grub are awesome! Well-browned skin with a slight sweetness to it covering up tender smoked chicken. Dip it into the Alabama white sauce on the side and you’ve got a flavor sensation. 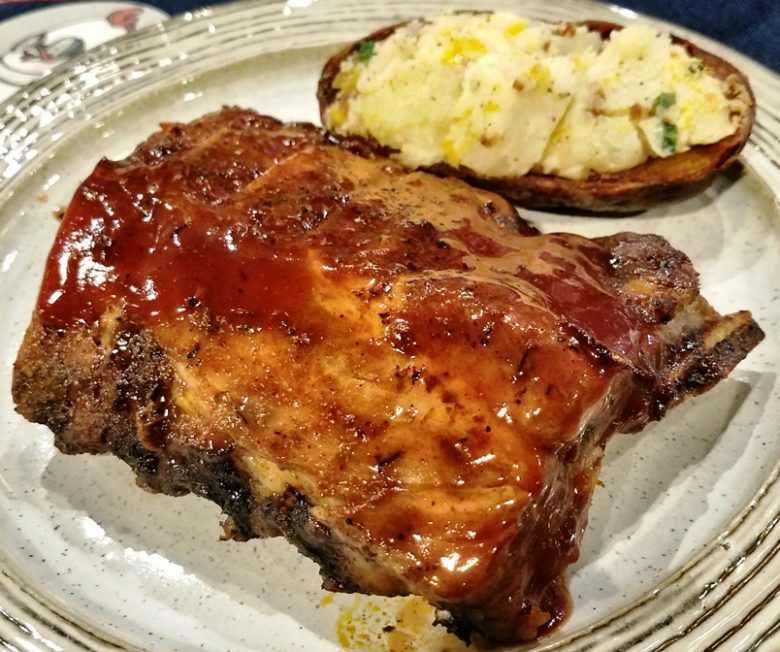 The baby back ribs are also solid, smeared with a bit of barbeque sauce and served up with a nice twice-baked potato (bacon, cheddar, sour cream), great for the price. And I can tell you that Grub feels quite different at night and takes on a much more subdued feel. Overall I think Grub Durham is doing a lot of things right given its newness. 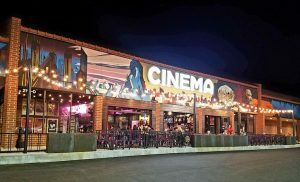 Great patio and outdoor space, a simple but tasty menu and excellent service. The food is simple but spun up a bit, there’s a lot of attention paid to what comes out of its kitchen. I imagine the menu will open up a bit over time since they are still new. And while it may not be a great option for a date, it’s certainly a good option for meeting with friends, family and grabbing a quick bite. So get on over to Grub Durham if you need to fuel up on some interesting and creative diner fare. It’s just plain old good eats at very affordable prices for the Bull City!